David in his Hollywood Hills studio. First exhibited in "The Artist" a McHugh solo exhibition of artists' portraits at the James Corcoran Gallery in Los Angeles in 1984. 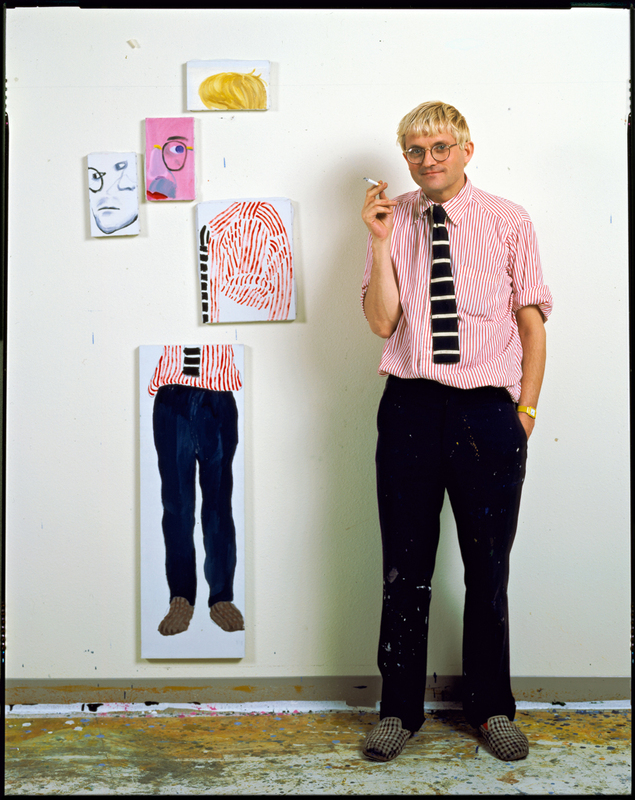 This image was the cover of Hockney's book "That's the Way I see it," also featured in Taschen's 2018 "David Hockney: A Bigger Book." A special edition print for was published by LACMA for their Hockney retrospective.